If you read the March Feature on Bergenia ‘Pugsley’s Pink' you will know that I was hoping to discover more about the Mr Pugsley who bred this plant. 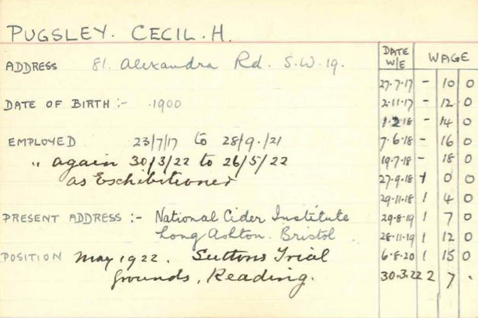 Through Plant Heritage I was sent this image of Cecil Pugsley’s record card from the Curator at the John Innes Centre. 'Exhibitioner’ means he was on the 2-year student gardener scheme. John Innes doesn’t seem to have any record of him after 1922. He didn’t go to Hertfordshire when the JI Institute moved there. I haven’t yet followed the trail to the National Cider Institute. 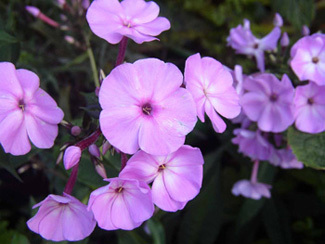 David Ward, Garden Director at The Beth Chatto Gardens, said that he could find no record of where they had obtained B. ‘Pugsley’s Pink’ to enter into the RHS Bergenia Trial. So the trail may have gone cold. 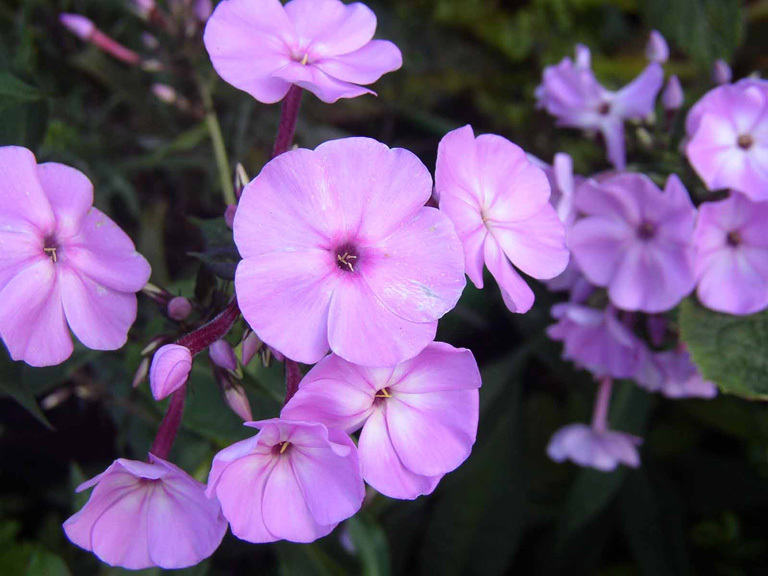 The Conservation Scheme has listed a number of Phlox cultivars, two of which have never been featured in these articles and about which little is known. Phlox ‘Milly van Hoboken’ was introduced in 1998 but who by or the reason for inclusion was not recorded and Phlox ‘Terry’ in 2002 by an HPS member on the recommendation of the National Collection holder at that time. Plants have been grown by a number of local HPS Groups within the scheme, but seem not to have been propagated in large numbers and plants brought to the annual Plant Exchange tend to be small, often failing to survive their first winter. 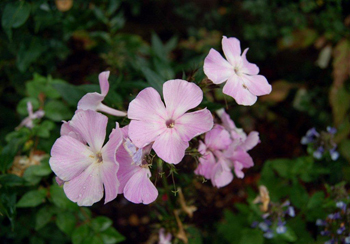 We will need to look carefully at the merits of these plants and consider whether they should be kept in the Scheme. 1 Comments To "May's Featured Conservation Plant"